Segenet Kelemu (PhD) is the Director of Biosciences East and Central Africa (BecA) Hub, located at the International Livestock Research Institute (ILRI), Nairobi, Kenya. 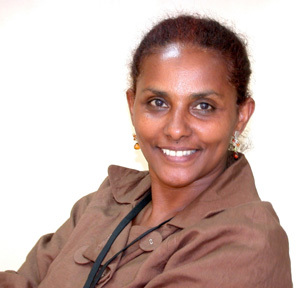 Dr Segenet Kelemu is a renowned scientist who has published widely referenced journals, book contributions, manuals, conference/workshop papers, working documents, and others. She has supervised many graduate and undergraduate students from several countries. During her career as a scientist, she has made a number of key scientific discoveries. Her professional services include: Member, Editorial Board, Plant Pathology Journal; Member, Steering Committee, System-wide Program on Integrated Pest Management (till 2007); Member, American Phytopathological Society Ad Hoc Committee on the Future Education of Plant Pathologists; Member, Governing Board, International Association for the Plant Protection Sciences (IAPPS). In 2006, Dr Kelemu received the prestigious Friendship Award granted by the State Administration of Foreign Experts Affairs, authorized by the State Council of People’s Republic of China. The Friendship Award is the preeminent prize the Chinese government confers annually to foreign experts who have made outstanding contributions to China’s economic and social development. She was the only scientist from the Consultative Group on International Agricultural Research (CGIAR), Africa or Latin America to win this prestigious award that year. When Capital’s Tagu Zergaw attempts to find out more about this scientist and share her experience, it was revealed that she is was also the winner of the Outstanding Senior Scientist Award at CIAT in 2007 for her key scientific discoveries and numerous contributions to the Center and its mission. Capital: Tell us about your academic and professional background that enabled you to be Director of the large biotechnology initiative, BecA-ILRI Hub? Dr Segenet Kelemu: It has been a long march and a great journey to where I am today. I was born and raised in a small town called Finote Selam (Gojjam). I was (and still am) hard working, imaginative and always stretched the limits and boundaries of possibilities. I collected firewood, fetched drinking water from the river, washed clothes, and ran many other errands before and after school in Finote Selam. It was a very happy childhood where the entire village basically raised me with lots of love, which included spankings for being a rebellious child. What brought me to where I am now is the result of that upbringing with great values and work ethics, my determination, hard work and the excellent education provided by Ethiopian as well as American taxpayers. I am grateful for all that. I graduated with great distinction in Plant Sciences from Addis Ababa University, Alemaya College of Agriculture in 1979, and soon after graduation, I took on teaching responsibilities in Plant Protection and conducted research on cereal disease resistance at the Debre Zeit Agricultural Research Center and College of Agriculture until 1982. I subsequently won a scholarship to earn an M.S.c. degree in Plant Pathology/Genetics at Montana State University, USA, and a Ph.D. in Molecular Plant Pathology at Kansas State University, USA. From 1989 to 1992, I worked as a Research Scientist at Cornell University, USA. In 1992, I was recruited by the International Center for Tropical Agriculture (CIAT, its Spanish acronym), located in Cali, Colombia (South America) and joined the Center as a Senior Scientist. I later became the Leader of the Crop and Agroecosystem Health Management Program of CIAT until my departure in mid-August, 2007. Although very happy at CIAT both professionally and personally, I made a decision to move back to Africa and contribute to the continent by accepting my current position at ILRI. Capital: What are your most recent achievements and current status of your research? Dr Kelemu: I have had productive research that resulted in a number of notable achievements; 1) Developing protocols for cloning vector transfer systems in a bacterium that is devastating to rice production; 2) Molecular cloning and characterizing avirulence genes from the rice pathogenic bacterium; 3) Discovering plant-inducible pectate lyase isozymes in a mutant strain of a plant pathogenic bacterium; 4) Assembling new lines of differential tropical forage legume hosts for pathotyping of a fungal pathogen that is damaging to the forage legume called Stylosanthes; 5) Diagnosing and characterizing previously unknown plant disease-causing pathogens; 6) Creating a transgenic Stylosanthes guianensis plant resistant to a fungal pathogen; 7) Discovering endophytic fungi in species of tropical grasses that protect their plant hosts from insects and fungal pathogens. They also make their hosts tolerant to drought; 8) Developing molecular tools for detection of endophytic fungi; 9) Developing genetic transformation systems for endophytic fungi; 10) Discovering plant growth promoting beneficial bacteria; and 11) Discovering a seed protein with antimicrobial and insecticidal properties. These discoveries and research results are making impacts in a number of countries. Currently, I don’t do research myself although I intend to do so in the near future. Through the BecA initiative that I am directing, we focus on creating and strengthening human and institutional capacities in biosciences in Africa by bringing together a critical mass of scientists drawn from national, regional and international institutions in modern facilities where they can undertake cutting edge research, leading to finding solutions to some of the most important agricultural production constraints affecting the well-being of people in Africa. As you may know, some of the major constraints to the optimal use of biosciences in Africa include: the lack of a critical mass of suitably trained scientists; the lack of adequate laboratory facilities and equipment and the human and financial resources essential to operate, maintain and sustain them; limited local private sector involvement in science and technology applications in Africa, in order to develop and deliver products to market; lack of adequate networking within the African scientific community and with the international scientific community to access knowledge, state of the art techniques and deliver potentially useful technologies. We are working hard to address some of these constraints. Capital: Who are the people who are most influential in your life and contributed to who you are today? And what are the obstacles you have faced during your professional journey? Dr Kelemu: Many people have greatly contributed to who I am today and have shaped my life. I want to recognize a few of these influential people in my life. My brothers, Dr Asmamaw Kelemu and Beyene Kelemu, who have made many sacrifices to make sure that I received very good education. They also made sure that I stayed focused on my goals. My parents who have instilled in me discipline, the value of hard work and integrity; the people of Finote Selam who were collectively the caretakers of everybody’s kids; my teachers in Finote Selam, Debre Markos, Alemaya; my professors and mentors in the US; my staff in Colombia; my graduate and undergraduate students from many countries; my loyal and devoted friends all over the world. My daughter has also a big impact on me. She has changed me in many ways. And my husband: his strength and tenacity are inspirational to me. There are always obstacles (small or big) in life. Life is never a smooth sail. What is important is that I never let the rough waters deterred me from what I wanted to achieve. When you run, sometimes you fall. You just get up and run again until you reach your destination. Capital: What areas of research do you focus on? Dr Kelemu: I am a Molecular Plant Pathologist with emphasis on elucidation of molecular determinants of crop host-pathogen interactions, development of novel plant disease control strategies including transgenics, biopesticides, pathogen population genetics and dynamics, endophytic microbes and their role in plant development. I have expertise in a number of biotechnology areas. But to put it simply for your readers, I have focused on finding solutions to diseases of crops that are caused by bacteria and fungi. Just like animals and humans, plants also get sick and when they get sick the yield they produce gets reduced drastically and as a result the farmer harvests less or none depending on the severity of the disease. Capital: Does your work have any direct relevance to Ethiopia? Dr Kelemu: Yes, absolutely. BecA aims to employ modern biotechnology to improve agriculture in eastern and central African countries, including Ethiopia. It also seeks to strengthen the capacity of scientists in eastern and central Africa to conduct bioscience research and to significantly contribute to improved products that can enhance livelihoods of farmers in the region. The BecA initiative provides a state of the art biotechnology platform in Africa able to be accessed and used creatively by African and non-African scientists for Africa, by utilizing facilities available at the BecA-ILRI Hub and in their home institutions, through interchanges of people and technologies. We believe that this will create a cadre of young African scientists developing new knowledge and practical applications of biology for Africa’s development. One of the objectives of BecA is to provide focal points for the African scientific community to support the activities of national research institutes and universities addressing agriculture-related problems for reducing poverty, creating wealth and promoting Africa’s development. BecA aims to achieve this objective through the BecA-ILRI Hub and through cooperating research institutions including five regional ‘nodes’ that agree to make their facilities available for regional use. One of the five selected nodes is the Ethiopian Institute of Agricultural Research (EIAR). And I should add that this is not a trivial matter. The dedicated Ethiopian scientists have raised the profile and reputation of EIAR that made this selection and recognition possible. We work with the scientists and leaders of EIAR to help build the capacity of the new Ethiopian biotechnology institute at Holetta as well as other institutions and EIAR centers. A number of Ethiopian scientists have received training in biotechnology at BecA. We are very keen in providing support to Ethiopia, and naturally I am personally committed to this cause. Capital: What are the things you value most? Dr Kelemu: I value my family; I like and treasure being Ethiopian; I value personal integrity and hard work in whatever I do; I value loyalty to friends and family; and I value my health. Capital: Do you have any leisure time and what do you do if you ever get it? Dr Kelemu: I spend quite a bit of time at work, but I make sure that I have time for my family. I have a wonderful husband; and we have a beautiful and very smart daughter who is 12 years old. Her name is Finote, named after my beloved hometown Finote Selam. We play games, we sometimes cook together, we watch movies and we read a lot. We all like to travel and we often vacation in various countries. I tutor my daughter almost everyday if I am not on official travel outside of Kenya. I like gardening. I also like listening to Ethiopian music (this gives me peace and sanity), but unfortunately neither my husband nor my daughter like Ethiopian music. So I am confined to my car whenever I want to listen to my music. Capital: Do you have any final message that you would like to convey to our readers? Dr Kelemu: Your readers fully understand that agriculture is undoubtedly the single most important sector in the economies of most low-income African countries. Accelerated growth in agriculture, with concomitant increases in incomes, is needed to sustain growth, to raise food-purchasing power and to reduce poverty. Most remarkable to me is the unsatisfactory performance of agriculture in sub-Saharan Africa, especially when contrasted with parts of Asia and Latin America (where I spent more than 15 years of my career). I can’t emphasize enough the importance of science and technology as well as capacity building for the sustainable socio-economic development of Africa and its enhanced integration into the world economy. Africa’s low investment in science and technology is reflected in declining quality of science education at various levels of educational systems. Therefore, an increased investment in agricultural research and development, implementation of sustainable agricultural and natural resource management practices, and advanced technologies that can generate improved products are all crucial. Agricultural biotechnology should be viewed as a component of a comprehensive strategy to alleviate poverty that needs to go hand-in-hand with an investment program in agricultural growth. Investment in people is a critical core element of it all. To the young Ethiopian readers: Science is a very exciting and rewarding profession to be in. There are many opportunities for advanced studies. If I can do it, so can you! With permission from Crown Publishing Company. All Rights Reserved.